It’s a simple premise: an ordinary man imagines himself to be extraordinary by daydreaming throughout the day. James Thurber’s short story The Secret Life of Walter Mitty took up only a couple pages of the New Yorker back in 1939. It’s easy to see why such a simple story would have enough appeal to be retold and reimagined by modern filmmakers. The character of Mitty is quite relatable. Who hasn’t imagined their life as something other than it really is? There are so many possibilities with the adventures Mitty imagines himself engaging in. What is unfortunately hard to fathom is why the 2013 feature film fails on most levels. In the original story, Mitty is suffering through a rather mundane day, accompanying his demanding wife on a shopping trip and to the beauty parlor. Bored, Mitty is cued into extravagant daydreams by his various encounters throughout the day. He imagines himself as a dashing war hero or an accomplished surgeon. The commonality of his daydreams is that he imagines himself to be unique – he is the only one who can complete his mission or save the patient. Uniqueness is something that is missing from his own life. Mitty does not feel as though he is one-of-a-kind. That essence is missing from the 2013 theatrical remake (the previous theatrical version is from 1947, starring Danny Kaye) featuring Ben Stiller as the titular character. 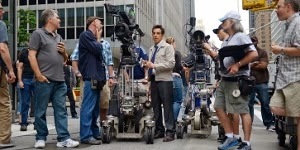 Stiller also directed. In this version, Mitty’s dissatisfaction with his life is entirely of his own making, and we really don’t know much about it. 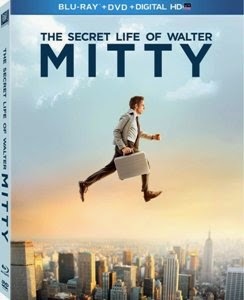 According to his more free-spirited sister (Kathryn Hahn) and his mom (Shirley MacLaine), Walter has always been prone to “zoning out.” Okay, that’s fine, but this movie doesn’t explore the idea that Mitty’s daydreams have held him back in life. We are just supposed to accept that this is the way he is. In fact, Mitty has a pretty cool job. He is the Negative Assets Manager for Life magazine. If that job title doesn’t exactly jump out at you, it’s because it’s a somewhat outdated position – Mitty manages the physical film negatives sent in by photographers to be printed in the magazine. This could have been a great opportunity to explore the takeover of digital media at the expense of long-running institutions like Life magazine, but that issue is kept firmly in the background. We learn right away that Life is soon to be transitioned to an online only format (something that happened over 10 years ago in real life) and massive downsizing at the office is imminent, something Mitty doesn’t seem all that worried about. What Mitty is concerned about is hooking up with co-worker Cheryl (Kristen Wiig), but only via eHarmony because he is too shy to take a more direct approach. If this doesn’t sound anything like Thurber’s original short story it’s because it isn’t, and it only departs further as the film goes along. Lo and behold, Mitty is presented with an actual quest. He must locate a missing film negative for the final cover. To do this he must track down Sean O’Connell (Sean Penn), a photographer who still uses real film, to see if he has it. So where do Mitty’s daydreams fit into all of this? The truth is, they don’t. They are just kind of there. They don’t add any poignancy to the story or do anything to establish more about the character. While the 1939 Mitty’s daydreams were extravagant, they were not outside the realm of possibility. What the original Mitty wanted was to be extraordinary. He wanted to matter. The 2013 Mitty wants to be a superhero. His daydreams are so preposterous, at times they go beyond anything remotely plausible. This Mitty can fall great distances and bash through buildings as if he were The Hulk. And then there are the more ordinary ones where he simply stands up for himself to his douchebag new boss (Adam Scott). As daydreams blend into reality and Mitty does start to actually lead an extraordinary life, none of it rings true. What are we supposed to feel for Mitty? He has a lot going for him already. He was in a managerial position at a huge publication, living in New York City – yes his job is probably ending, but he never expresses any fear that he won’t find another one, so he will presumably move on. He also has no family to support. His life is his own. His biggest problem is that he never takes advantage of his freedom. It’s easy to relate to the original Mitty who is stuck in the rut of an average middle-class life. It’s harder to root to this Mitty, who has a lot going for him, but simply chooses not to enjoy his life. Compounding all this, the film moves along at an agonizing slow pace that feels like it’s never going to go anywhere. The love story between Mitty and Cheryl is more obligatory than heart-warming. We never have any reason to care if these two end up together. As the story moves along it becomes too preposterous to believe, making it hard to care about anything by the end. 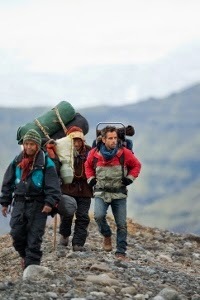 Overall, I chalk up The Secret Life of Walter Mitty to a big disappointment. The Blu-ray itself is far from a disappointment, with an outstanding 1080p transfer that makes the most of all the Icelandic scenery on display. Even better is the DTS-HD Master Audio 7.1 surround sound, which bombards listeners during the more action-oriented scenes. Special features are a little lacking, but there are lots of deleted and extended scenes, along with over a half-hour of short “making of” featurettes.